Swatch bring to the table a rather unique design (as usual), the Swatch GN237 Linajola Glossy Watch stems from the Originals line and the Gents Family. The Gn237 features a glossy translucent blue plastic case, paired with this case is a robust plastic strap with a smooth laminate finish. 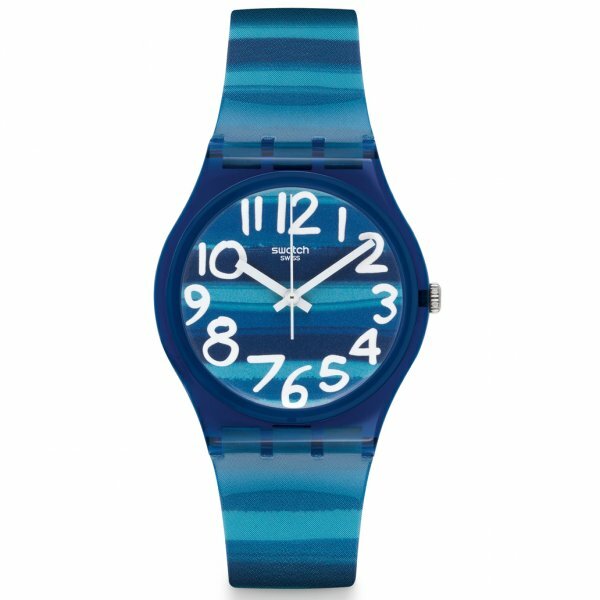 The Linajola offers a unique pattern of different shades of blue as well as an easy read dial.The GN237 from Swatch comes with a 2 Year Manufacturer Warranty.